Recently one of our community members Kin Jal posted a thread in the Craft The Story™ Facebook Group talking about her response to some thoughts I had in the Learn Story Classroom challenging subscribers to take a closer look at the ways we overcomplicate memory keeping and figuring out which parts are overwhelming your own process. I thought her list was really interesting and thorough and I asked if I could use it for a blog post. Today I'm sharing the things on her list along with some thoughts/commentary from me that include ideas, suggestions, and commiseration (because the struggle can be so very real). Before you read further I want you to keep in mind that my responses are fueled by my own experience which might be totally different than yours. We are all in different seasons, different life situations (family, financial, employment, etc), and in the end we are all trying to make it work with what we have right in front of us. I think it's also important to recognize that my ideas are just that - they aren't a prescription and they don't mean that I have all the answers (no way + how boring that would be). People approach memory keeping from a variety of different angles and what works awesome for me - or be important to me - might not be the same for you and that's totally okay. I also think it's super important to recognize seasons of life in respect to memory keeping. Just because you've been doing something one way for years doesn't mean a new approach isn't worth your time. And something you might have tried a few years back that didn't work just right might be exactly what you need to try today. As you read I also want to invite you to specifically identify your own memory keeping challenges which can totally help you figure out your own enough (or develop systems to simplify). KJ 01 : Not knowing or being able to see the "end" at the beginning. For example, I want a single consistent home for my stories but I can't easily print 6x8 photos or pages at home which makes things like December Daily, WITL, and the story kit digital pages I sometimes make much harder to work on or "complete". I don't know how or when I will get them off my computer or how I should store them consistently on the computer/backup etc until this date. AE | There was a point in my own personal memory keeping journey where I let the idea of a single, consistent home for my stories go and started focusing more on just getting stories told vs. worrying about where they were going to end up. I think part of that for me was starting to think of the albums themselves simply as "holding places" vs. my albums reading as if they were a book (at least this is the case for my annual 12x12 albums). Does that make any sense? They are the containers vs. the consistency. The consistency I want is in the storytelling - in taking time and making that piece a priority. Not being able to print at home does make it more challenging when you can't complete a project on demand (and creates that need for more organization). If I was working within a budget the first thing I would do is spend money on a home printer (you can see my current printers here). Having the flexibility to print on demand is a huge part of how I get any of my projects done. It would be a completely different experience for me if I wasn't able to print at home. One thing you could consider is using your album to hold the pieces of the stories you plan to use with the 6x8 photos. That way at least you would be keeping it all together for when your prints arrive. KJ 02 : Storage space; I live in a small (720sq flat) with my husband and 12 week baby and I already have so many projects and albums on the bookshelf. I want to make more (and I have a lot of "stuff" that needs using up) but I also worry about the long-term storage aspect. Digital albums are thinner but I feel like I'm creating a lot more...stuff to dust, look after, clean. AE | First off, congratulations on your baby! That is a huge, amazing life change and you are just getting started on that journey. I also love that you have a lot of pre-baby projects on your shelf - you will never regret having those stories from before you were a Mom. (1) Storage is a very real issue. Do you have any opportunity for any kind of longer term storage? One idea I had while I was reading this is could you box up some of your pre-baby projects and put them somewhere where you have less access to them? I have some of my past projects stored in tubs out of the way which has freed up space to hold newer projects - I realize this might not be an option for you at all, but it might be for someone else who is reading. (2) Even though I do have a home office, I am very conscious of the amount of products I keep here. These days I store more albums than products. (3) Also, do what you love. Everyone has something (or lots of things) that are less than perfect in our lives. One thing I think many women (and some men for sure) deal with is the idea of taking up "space" in their lives. It's okay for you to take up space doing something you love. It's okay for you to not have an answer about what will happen to the albums/projects in the future. It's okay for you to complete some projects and not complete others. What I recommend is getting really clear that you are doing projects that you actually love vs. doing it just because other people are doing it. By identifying the projects that really bring you joy that might help you narrow down what you want to do. If this wasn't my job I might just do two projects a year: Week In The Life™ + December Daily®. What I love about both is the they are a specific time (meaning not an ongoing project) and they have a beginning and an end. I might also consider doing Project Life® every other year or once every couple of years. If you really want to do "all the things" than you have to have a strategy and a way to make it manageable for yourself - especially with a little baby. Maybe for you right now doing one on-going project is more meaningful than doing other time-based projects. 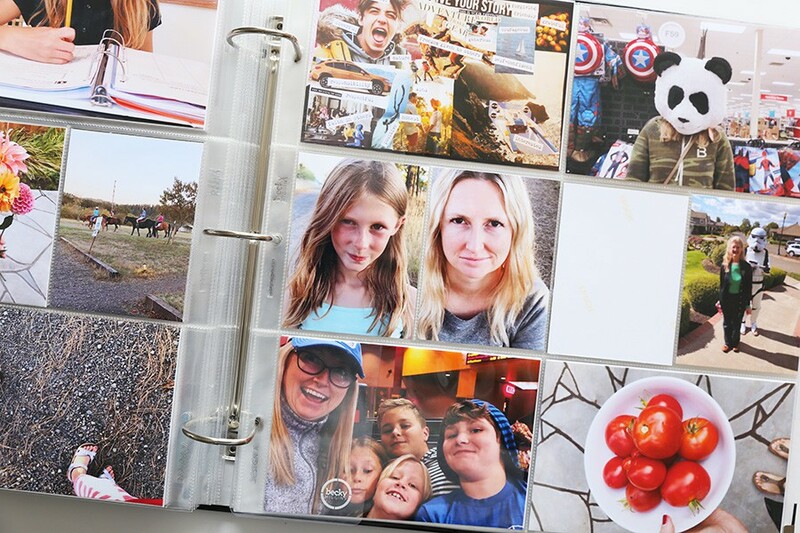 KJ 03 : Chronological scrapbooking. There are years I need to finish before I feel I can start on the current. I do really try not to feel "behind" but it still feels hard. AE | This is honestly something I don't worry about at all. Basically ZERO. Some years I have more, some years I have less. Some years I've finished Project Life® and other years I haven't (I generally like to finish them but sometimes it is what it is). I figure that whatever I'm doing will be enough. It's not about capturing every single little story - it's about capturing stories that actually matter to you. I would highly recommend starting with right now. Don't worry about the past stories. They will likely pop up from time to time and you can tell them when they do. 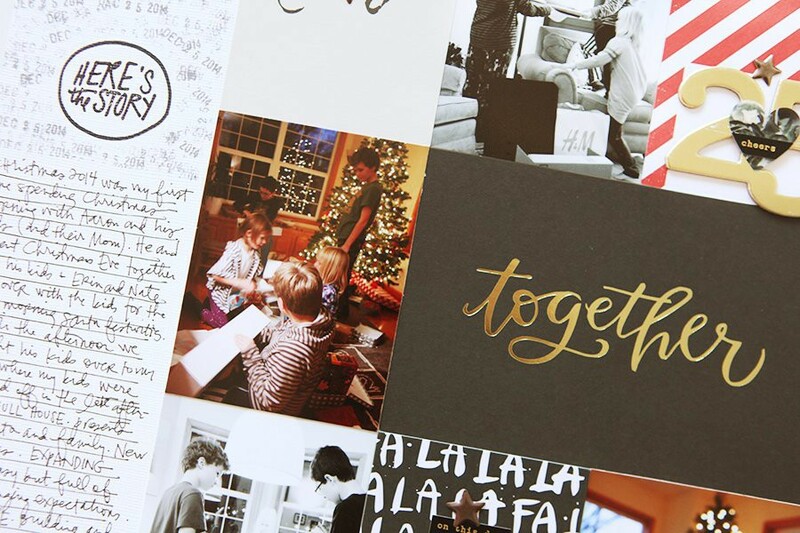 Scrapbooking does not have to be linear - you don't have to tell stories in a linear manner for them to be meaningful. With my Story Kits™ I sometimes tell stories from the past because that feels like it's the most meaningful for the theme. As I'm responding to your questions I'm thinking about how much "letting go" lessons we can learn via memory keeping. Letting go of perfection, letting go of needing things to be black & white, letting go of worrying about what everyone else is doing, etc. AE | One of the pieces of my process that helps me not spend a lot of time on photo management is that my photos are auto-uploaded from my phone to my PhotoStream library. I spend zero time organizing my photos. I don't tag anything. I have two folders per month - one that comes from my DSLR uploads and one that is my PhotoStream photos from my phone. I do have other folders for work related projects but those are the main two I have for each month. I could simplify it even more and just have one but I still like seeing which were taken with my DSLR and which were taken with my phone. The only time I go into my photos is when I'm printing them. These days that's usually when I print photos for my stories in the Story Classroom and one or two other times a month when I print up a bunch for Project Life®. Other than that I really don't even go into there at all. Remember that your photos are essentially a supply. You need to be the boss of those photos vs. letting them control your time. Also consider that if you are feeling like you need to organize your photos or your digital supplies all the time maybe you simply have too many. KJ 05 : Consuming, not creating. I feel the intake of photos especially with digital pictures and how each variation of the same shot gets uploaded instantly to my manager before I even delete it, is hard. And backups and digital kits pilling up on my hard drive. AE | I store all my photos + digital products on an external hard-drive so that it isn't using my main system. Depending on what photo management program you use you should be able to google how to store your photos + media to an external drive. You can get a 1 or 2TB external hard-drive for a lot less than it used to be. For many years I used LaCie external drives. Aaron takes care of all that stuff for me now so I don't even know what I have beyond knowing that I still backup to an external drive as well as store all my media on another external drive (and backup through CrashPlan). I also regularly delete movies - mine are work related - after I have finished a project. Those files tend to take up the most space for me. Another suggestion: take less photos. To some people this might sound really crazy but, trust me, you don't need 10 photos of anything that are basically the exact same image. You just don't. So rather than running into those photos when you get on your computer, don't take that many in the first place. This, as with anything else, is a practice. Sometimes we go into auto-pilot when we pick up our phones or cameras and take way too many photos simply because we can. Remember when each one of those shots had a $ attached to it when everything was film? Imagine if all the photos we take now still had that $ sign attached? In a way there is a price for all those photos - it's called overwhelm. Try a little bit of mindfulness when it comes to taking photos next time and see if that impacts the number you are taking + if it impacts the amount of time you are spending down the line. Remember that stories don't require perfect pictures. Remember that often even what we see with our eyes is really hard to actually capture with our camera. KJ 06 : Overwhelm of stories - I have so many I want to tell, each story prompt opens up so many thoughts. Which should I tell? How should I tell it; just words or a new technique? How long should I spend, should my goal be to tell as many, or tell some that are 'better' quality? AE | One thing I encourage people to do is adopt a long term memory keeping mindset. There is absolutely no way to tell all the stories and there are hundreds of ways to tell any given story. Over your lifetime, if this is one of your passions, you will likely tell a whole lot of stories in a whole lot of different ways. Some will be short and some will be long and some will be awesome and some will not be awesome and some will happen really fast + easy and others you might struggle for years to tell. This is all normal. Over the years I have learned that the more I tell my stories the more I trust myself + allow myself to tell stories in whatever way it ends up. So much about this is trusting yourself and trusting the voice - whether it's visual or written. 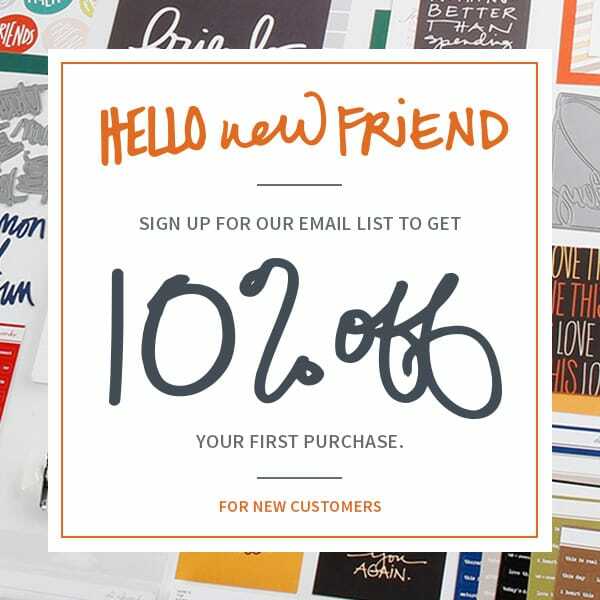 What if you committed to just one or two stories using the Story Kit per month? They might simply be the first ones that come to mind. This is essentially what I do each month - tell three stories using the kit/stamp and then use it to complete one Project Life® spread. I go with the stories that "feel" good to me on the day I've set aside to get the projects done. For me having a deadline eliminates the going back and forth with "is this the right story" or "is this the best story" or any other questions like that. There will always be more. Just about every time I work on my projects that go along with the theme I'll think of others I could tell. Sometimes I do it and sometimes I don't (for me it's usually because I'm already moving on to the next project). Remember, it's just memory keeping. Whatever you pieces of your story you choose to tell is awesome. AE | Letting go of any sort of guilt related to memory keeping will be one of the best things you can do for yourself and your family. In no way am I advocating for neglecting the other responsibilities of your life, but please make sure you are actually living your life (not just going through the motions). One of the ways I am truly alive in my life is when I'm memory keeping. You have to make time for the stuff that truly matters to you. A happy Mom is one who gets to cultivate her passions. Again, that doesn't mean that you stop taking care of the people you live and the place you live. It might mean adjusting expectations about quality time and, to be honest, cleanliness (totally going to be different for different people - I like picked up counters way more than I care about sweeping the floors every day). With a new baby in the house you are in a major time of transition. Give yourself grace daily for just getting up in the morning and feeding your baby. If you tell one story a month that would be awesome. Also, I can't write anything about this topic without referring you to check out Jessica Turner's books The Fringe Hours or Stretched Too Thin (geared towards working moms but has lots of good ideas and thoughts for all women). Both are really great at encouraging you to consider how you actually use your time during the day and making time for the things that actually matter. AE | Maybe rather than thinking about making a mess when you only have 10 minutes are there other tasks you can do when you have 10 minutes that are necessary for your process? When I have 10 minutes I often clean off my desk or print a couple photos (again it gets back to printing at home) or make a list or journal on a Project Life® card. What are smaller tasks you can do in those little pockets of time that will help you move forward? Another idea - what about an under-the-bed storage box that could act as your "project in progress" space (no idea if you have space under your bed)? Or a tray that holds whatever you are working on that could be placed in a different location when you want to move it off your table? KJ 09 : Deciding which project to work on, and what is "enough?" I love Project Life, OLW, WITL, December Daily, 30 days of thankful and I also daily journal, daily gratitude, p365 (7 years), 1sec a day (3 years)...that's a lot, before I even look at the story classroom. I want to do all of these projects especially because I love how not having a "gap" makes the years stack up nicely and learning things between each year, how life changes is amazing. But I can't realistically do all of these projects for all of the rest of my life. At some point I have to make peace with only doing one or two. AE | This is totally one of those things that each one of us has to decide for ourselves - and in different seasons of your life you'll have more and less space/interest/motivation/time/etc. Which one brings you the most joy? You are already doing SO MUCH daily (journal, gratitude, photo, video) - seriously, that is so much every day. One thing I would remind you is that you don't have to do things daily in order to see life changing from year to year. I see that just in my Week In The Life™ and December Daily® projects. 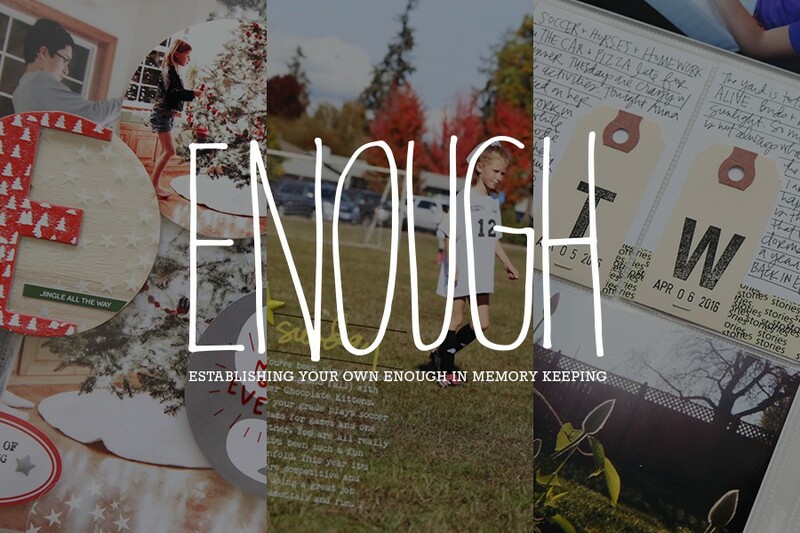 For those of you who've never checked out my Establishing Your Own Enough In Memory Keeping post here's a link to that. I totally get not wanting to have gaps but the longer I live as a memory keeper the more I understand that life is full of gaps. Ha. But seriously, gaps in relationships, gaps in work, gaps in hobbies, gaps in vacations - it's super normal. I think that our own "enough" is going to be different in different seasons and different times in our lives. What's enough when you have a 12 week old baby is likely different then when you have teenagers (and for different people even those two seasons might be reversed). Own where you are at and adapt to that season. So many great takeaways here. A wonderful way to start the day...the week...and month. Thank you, Ali. And thanks to Kin for being vulnerable and sharing all these roadblocks so that we could all learn from the response. Such cool collaboration and insight! I super loved reading this, this morning. I can relate to many of the ways we overcomplicate things in memory keeping. One thing I do; even though I have a printer at home, I have a Costco close by and I just find it more cost effective, if I am not in a hurry to print photos, to order from there - I have no shame and I often literally order 10 photos sometimes - they know me at the photo desk :). For me, if I just have 10-20 minutes I start my project by writing my story. After that, if I have another 10-20 minutes at another time, I edit and order my photos. Once I pick them up, I then "play" with printed digital products and physical products and complete my project. I guess my point is that, I don't let not printing at home stop me from getting started or be a hindrance - I've adapted my process to fit that into the equation. Firstly, Ali, it's so good to see more of you on the blog again. I think we all struggle with this topic, personally I have so many PL weeks to do, it's not even funny. But it all feels (sort of) under control because I try to weekly or bi-weekly, go through my photo's and select and edit the ones that goes into PL. I have a journal where I draw out each PL spread, note the calendar week and jot down what goes into every pocket. Also whatever journaling goes in there. Then, when I eventually print photo's or have all the pocket pages (sometimes a long process with overseas shipping), I just refer to my journal. My advice to new Moms: I discovered Ali when I had a baby and a toddler. I loved inching out time to scrapbook, but today I don't really care for those pages so much, as my style have changed. I did go back and do backdated PL albums, because I took a lot of photo's back then (that was stored by month). 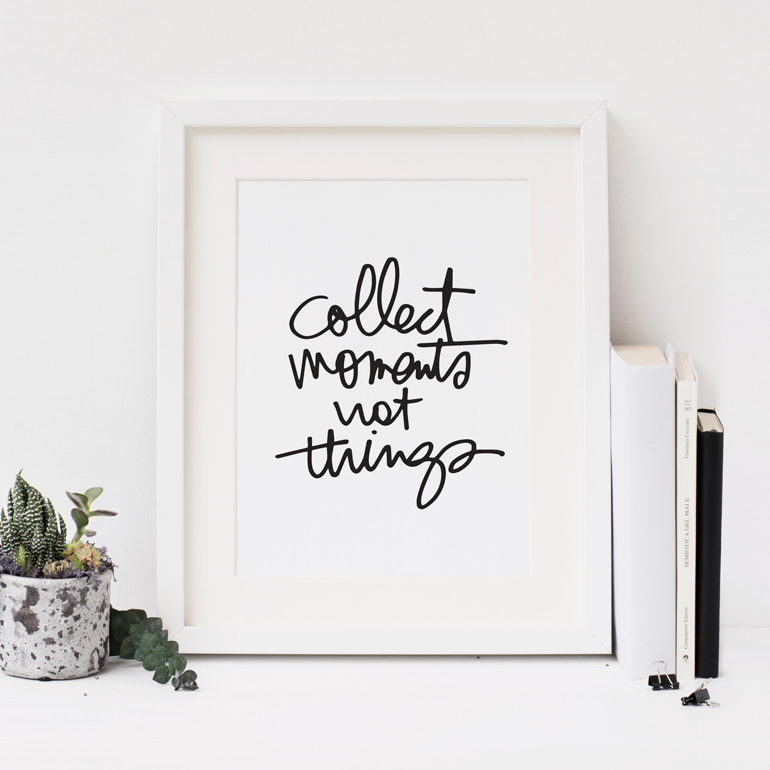 Also: if you're just taking photo's and keeping a journal now it's more than enough. I really love those albums now. I regret not taking more video's and love Elise Joy's one minute a day clips that she compiles into longer videos. In the end it should be a hobby/joy to you, that fill you up rather than adding stress. And yes, be in the moment with your kids, because it goes so fast! Beautiful post. Full of wisdom. This blog post was so poignant for me in this season of my life. I haven't touched my scrapbooking supplies since I became a foster mom 16 months ago and now here I am many months later with two babies under 18 months and I can't seem to find the time to get to any of it. I will definitely be utilizing some of your tips Ali since we are preparing to adopt our beautiful boys early next year and I have so many stories to tell about the most challenging and wonderful experience of my life. What an excellent blog post - thoroughly enjoyed reading your advice Ali and was wondering if you would answer a question about your photo printers. If you were going to recommend just one - would it be the Epson Picturemate or the Canon Pixma? Thank you. If you want to be able to print larger than 5x7 I would go with the Canon. The PictureMate is my favorite and I use it for all my 4x6 (and any 5x7's) for Project Life® but that is as big as it goes. Such a great post. Thank you both for sharing. I still don't print at home.....but have been thinking about doing so for awhile now. I may consider that before DD. I totally understand the overwhelm...I used to feel that way. 2. Maybe not to do everything every year. I love December Daily. Love it. But it just doesn't work for me to craft something physical everyday. So I complete a digital album every other year. I can still drool over everyone's gorgeous albums, but doing it this way is manageable for me. 3. Choose your activity ahead of time. Tuesday night is generally my 'work on projects night'. I know this in advance so during the day I am thinking about what I want to work on that night. That way when the kids go down and I'm ready to create I can get right to work. 4. Finally, keep at it. My kids (now 11, 8 & 5) absolutely love to look through my albums (especially the Project Life ones). It's one of the only times when they don't fight (! ), and I think it gives them a sense of identity in our family. I think the biggest hurdle is the issue of guilt. We all have guilt in our lives coming from a lot of different places. But the guilt has no place in my memory keeping. This is my play time. I play by my own rules, and I judge my projects by my own standards. No one's looking over my shoulder to make sure I followed the rules. I am the queen, the president and the dictator of this world, and I rule with absolute power. Once I understood that, every part of memory keeping became so much easier. Wow, so many great ideas, options and permissions to 'let it go' in this post! I just wanted to say that the last bit about gaps is so true. The gaps in life and memory keeping are completely normal. I have not created a page in years but this year I felt the desire to start again so I dusted off my supplies and I am... but there will be a big gap in my memory keeping and that is okay. The important stories that happened in that gap can still be told and I think I will do a better job of telling them now, with perspective, than I would have in that time. Personally I am using my story stamps to go back and tell these stories, they will all just go into an album, they won't be chronological, just told... and that is what really matters. So many great tips and ideas. Thank you! And I can’t believe how much you are doing already, Kin. You’ve got this! I love this Ali! So much great wisdom. The thing that resonated with me most is that to think of our albums as "containers" and the stories being the "consistency". Thank you to both you and Kin for sharing. This was such a great discussion - I am really conscious of not over-complicating my scrapbooking. I am a fan of minimal pages, scrap-lifting myself, repeating design in projects and setting up long-term projects (like Project Life) in a way that I know I can continue. I think it has also been important for me to let go of 'rules'. I want it to be fun - both in the stories I'm telling and the process of making my pages. I remember feeling so nervous and anxious the first time I changed up my Project Life format or the time I decided to stop making large pages and go to 6x8. I don't know what I was nervous about - my stories, my pages, my process, my passion so I should just do what makes me happy and make the kind of projects I want to look through a year from now and the projects I'm happy to spend my time on. I think you are the Shannan I follow (ok stalk haha) on insta....I love your simple style and have several posts ear marked for scraplifting :0) thank you for your inspiration! Great post. Even though I dont have children, I can totally relate to many of these roadblocks. I have really learned from watching Ali over the years to simplify my whole process. I have really limited the supplies I have on hand so I am able to spend more time making and less time organizing stuff and being overwhelmed with which product to use. Printing at home has been a lifesaver for me! I used to go to Costco a few times a week to pick up photos but being able to print at home has been a game changer for me. This year I went from a 9x12 album to a 6x8 album for PL. I also stopped doing the weekly format and just tell stories throughout the year. This has made my memory keeping so much easier and it also alleviates the future concern of having to find a place for all this gigantic 12x12 albums. I used to be very hung up on having all of my albums look "the same" and have similar formats. I have let this go and actually love having different shapes and sizes for albums with different styles--it shows the evolution of my style and how my approach has changed over the years. Thanks for this post Ali--i think it was much needed for a lot of us! Thank you for this. I felt myself exhale as I read this. I feel free-er already. One of my favorite posts ever- thank you both! Oooh, thank you KJ and Ali. So much good things in this post. I was anxious to finally get to sit down and read it today, taking notes, thinking out loud as to how I can incorporate in my life. The one question I kept looking for was about supplies. After scrapbooking, or collecting to scrapbook, for about 10+ years, I have too much stuff. I've invested a lot in supplies, but I'm now finding it to be paralyzing. I've given boxes and boxes away. Any thoughts on how best to purge? Much love and thanks.